A favorite among collectors of HO-scale trains, AHM's model of the German Krauss-Maffei ML-4000 was produced by Rivarossi. 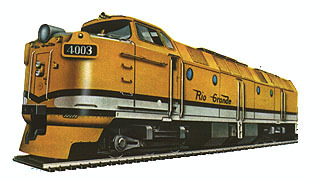 The prototype of this diesel-hydraulic was brought over from Germany in the early '60s and operated on the Rio Grande and Southern Pacific. The Powered loco originally sold for $9.95 and was introduced in 1964. By 1967 the powered KM retailed for $12.95 and the Lighted Non-Powered version was listed at $5.95. 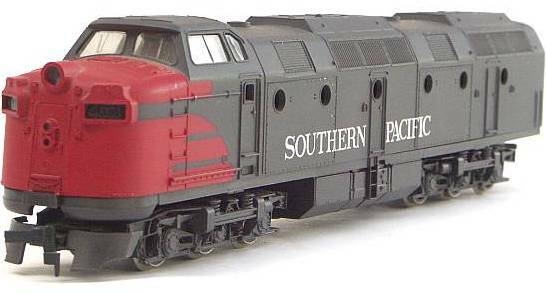 You'll find the AHM Krauss Maffei reviewed in the November 1964 Model Railroader's Trade Topics section. The review opens by stating AHM, "has quietly grown from the unknown in 1960 to become one of the very top in the field." 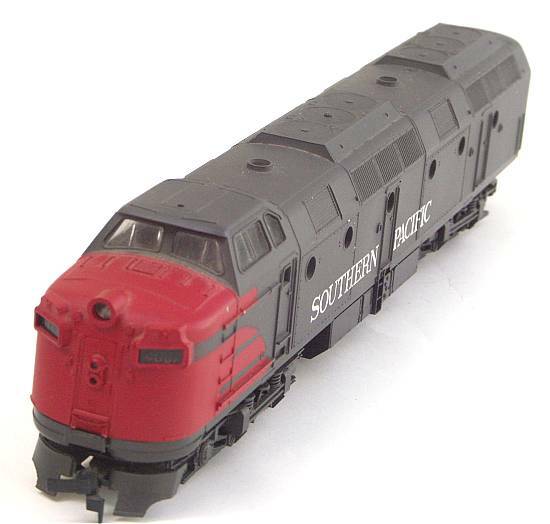 The model is called "excellent" by the review and it is noted that the HO-scale ML-4000 was driven by a 3-pole motor that was found to operate in a range from 10-12 miles per hour at its slowest to 170 mph at a full 12 volts! The model is also noted as being able to navigate 15-inch radius curves. By the late '70s, AHM no longer lists the Krauss-Maffei. Rivarossi did bring this unique loco back to the HO-Scale market sometime in the 1980s under their own name.